Carol Ann Thomas was born in Elkton, Maryland, October 10, 1951 to Daniel and Flora Thompson. She was called, to be with the Lord, on January 18, 2015, at her home in Elkton, MD. Carol was a graduate of North East High School. 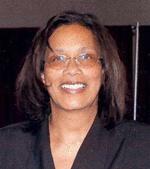 She furthered her education at Hahnemann University in Philadelphia, PA and obtained her nursing diploma in 1972. After graduating from nursing school, Carol went to work for Perry Point VA Medical Center in Perry Point, MD. For over 20 years she was head nurse on a psychiatric unit. She was described by her staff and clients as “tenacious, scrupulous, and magnanimous”. In 1995, she left nursing to become the EEO Manager at Perry Point. She found this position exciting and challenging. After 35 years of dedicated service to the Department of Veterans Affairs, she retired in 2007. After a whirlwind courtship of three months, she married Oran Thomas on September 14, 1974. The two remained happily married until his death in 2009. They were devoted parents to one daughter, Danielle. As a youth into adulthood, Carol attended Reed AUMP church, in North East, MD. As she grew in her walk with Christ, she was ordained, became a praying evangelist, and a minister. Carol was called to start a church, Bearing Precious Seed Christian Ministry, in Elkton, MD. As Pastor, she enjoyed leading bible study and preaching the living word of God in such a way, it promoted spiritual growth to those that were blessed to hear it. Carol was loved by the members of “the seed”. Carol was an involved and doting grandmother to her two grandsons. She loved to cook their favorite foods and take them to the playground and movies. Carol was an avid reader. She also loved to garden and watch the Baltimore Ravens. In her youth, she also enjoyed a good game of bingo. She had a gracious soul and never felt it robbery to go out of her way for another. She was preceded in death by her husband, Oran Thomas, and her parents, Daniel and Flora Thompson. Left to cherish Carol’s memory are her daughter, Danielle Thompson; son-in-law, Tobias Thompson; 2 grandsons, Quinlan Thomas and Daniel Thompson; 1 granddaughter, Mikayla Burns; 2 sisters, Stephanie Thompson and Diane Thompson; 2 brother-in-laws, Charles Thomas and Douglas Otte; 2 sister-in-laws, Bonita Thomas and Monica Thomas; niece/goddaughter, Devin Otte; special friends Julia and Marshall Gahagan, Audrey Brown; cousins Marilyn Thompson and James Thompson, Jr. She will also be missed by a host of aunts, uncles, nieces, nephews, cousins, colleagues, friends, neighbors, and members of “the seed”. Click here to see Carol Ann's last Profile entry.